Dr. Jeffrey M. Bishop was born and raised in Florida. He joined the U.S. Navy, while attending the University of Nebraska for his undergraduate degree in Medicine. When he left the navy he went on to graduate from the Philadelphia College of Osteopathic Medicine in 1985. He worked in Family Medicine for 35 years before retiring from his practice. He then went on to be the Chief Medical Officer at Wellington Regional Medical Center for an additional seven years until resigning from his position in 2013 and started Addiction Medicine. He is a member of over a dozen professional medical associations and in his free time enjoys a number of different activities. Although now retired from racing, was a member of the International Motor Sports Association and Sports Car Club of America. 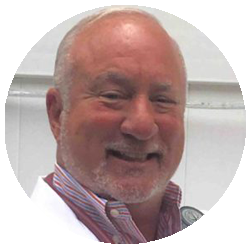 Dr. Bishop is also a certified open water scuba diver, he enjoys fishing, traveling, and hunting. Dr. Bishop thought the transition from family medicine to addiction medicine was a natural fit in order to combat the current drug crisis in America.We are proud to have such knowledgeable Medical Director here at Daylight Detox & Recovery Center.